Please take the time to read and view the contents of this article. With all our expertise in making wonderful wildlife documentaries in Ireland, surely we can help to investigate our own fish farming enterprises and once and for all expose their harmful effect on sea trout and salmon stocks. Salmon Watch Ireland supports sustainable aquaculture which in our opinion can only be realised by moving to closed containment systems which have a physical and biological barrier from the surrounding environment. Salmon and Trout Conservation Scotland (S&TCS) is mounting a concerted campaign aimed at restoring what was formerly the finest sea trout fishery in Scotland. Sea trout stocks in Loch Maree collapsed in 1988, one year after the start of salmon farming in Loch Ewe, the sea loch into which Loch Maree drains via the River Ewe. 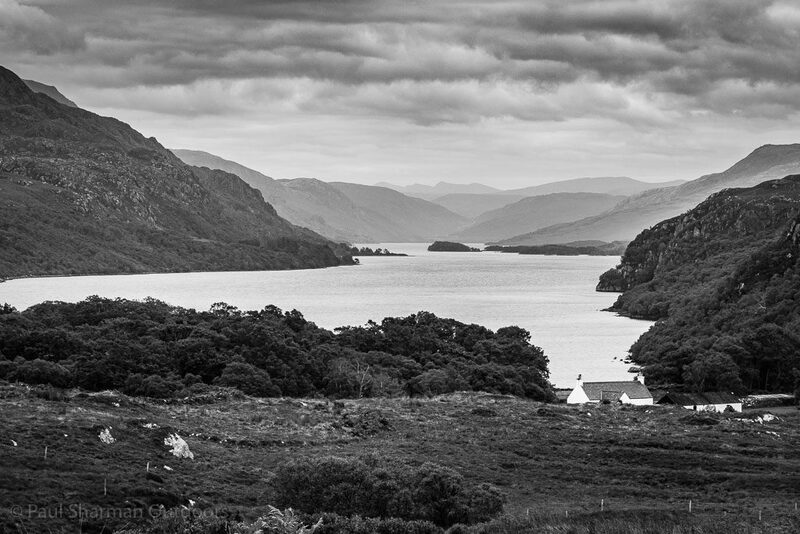 Loch Maree – the 4th longest freshwater loch in Scotland and arguably the most beautiful.